Nine West Maziany Studded Sandal $98 Free US shipping AND returns! Tory Burch Kira Block Heel Sandal $278 Free US shipping AND returns! Saint Laurent Tribute Sandal $925 Free US shipping AND returns! Spring Step Dorotha Block Heel Sandal $109 Free US shipping AND returns! Alexandre Birman Clarita Knot Sandal $895 Free US shipping AND returns! Calvin Klein Lancy Sandal $108 Free US shipping AND returns! Dansko Malin Sandal $139 Free US shipping AND returns! Klub Nico Moxie Laser Cutout Sandal $139 $198 Free US shipping AND returns! Francesco Russo Klein Caged Heel Sandals $439 $877 Free US Shipping! 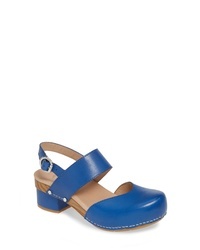 Chie Mihara Block Heel Sandals $344 Free US Shipping! Alexandre Birman Ankle Fastened Sandals $583 Free US Shipping! Nine West Maziany Studded Sandal $59 $98 Free US shipping AND returns!